Hey Listen! Light up your gaming experience with one of these 100% original Triforce neon lights! Handmade from bent glass tubing, this desk light is ideal for any dark corner or gaming room and is also wall mountable. Have you ever thought about how cool it would be to burn the Triforce symbol onto your steak or burger? 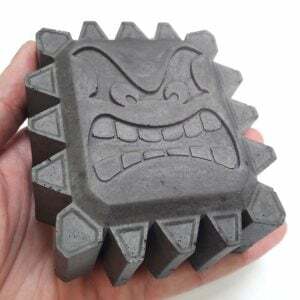 Heat up this unique steel branding iron and you’ll be able to burn the Triforce into anything you can imagine! These cute vinyl Pokemon stickers are perfect for decorating your laptop, phone, or even your Pokeballs! You’ll be able to take your favorite Pokemon on all your adventures with these colorful chibified Pokemon stickers. Kirby has used his copy ability to become the cutest bathroom mat that money can buy! Kirby’s face has been embroidered on a pink and fluffy nylon rug with a latex back to prevent slipping. 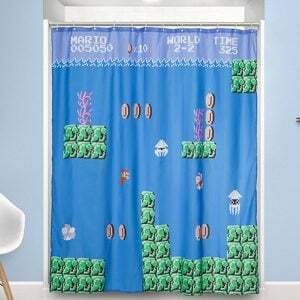 Time to geek up your bathroom floor! HEY!! Now you can have your very own aggravating life coach to warn you to WATCH OUT and when to LISTEN! This handmade replica of Link’s companion comes fitted with LED lights that alternate between 7 different color settings. Whatever your adventure, always be fully prepared with this Master Sword multi tool! Although this 8-bit sword is too small to hang on your belt, it does comes with a keychain and practical tools including a knife, bottle opener and screwdrivers. These fun Nintendo Game Boy cartridge USB drives have been made from recycled cartridges! They’re available in a range of classic games from your childhood and even come with a keychain so you will always have a nostalgic memento to carry with you! Are you a Nintendo fan looking for a way to clean off your Cheeto fingers? This life size replica is the actual size of the GameCube controller! A great gag gift to the hygienic GameCube fan. You can even choose the controller color and fragrance.